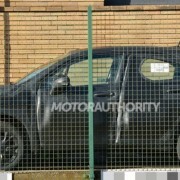 The all-wheel drive system Fiat 500X that will enter the market soon enough, was spied in photos while being on the roads for some tests. 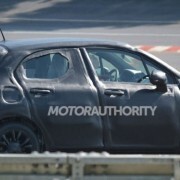 The 2016 Fiat 500X will be coming with some new interesting changes besides the 2012 model, the subcompact crossover coming with a raised ride height. 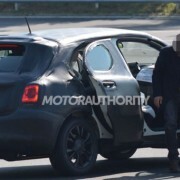 The 2016 Fiat 500X is riding the platform already found on the current 500L and not the 500, as previously supposed. Thus, the Fiat 500X will be the biggest vehicle from the 500 family. The 2016 Fiat 500X is expected to come with two choices of front- and all-wheel drive units, as well as an engine lineup, also seen on the 500L, meaning a naturally-aspirated engine alongside a turbo-diesel unit. In the United Stated, the 2016 Fiat 500X will be powered by a 1.4-liter four-cylinder engine, developing 160 horsepower and 184 pound-feet of torque. 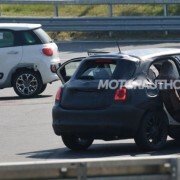 The Fiat 500X will actually complete the 500 family, standing along the 500 hatch, 500c convertible, 500L MPV, 500 Abarth sports version and the 500e electric.